Small olive drab painted tin with hinged lid. 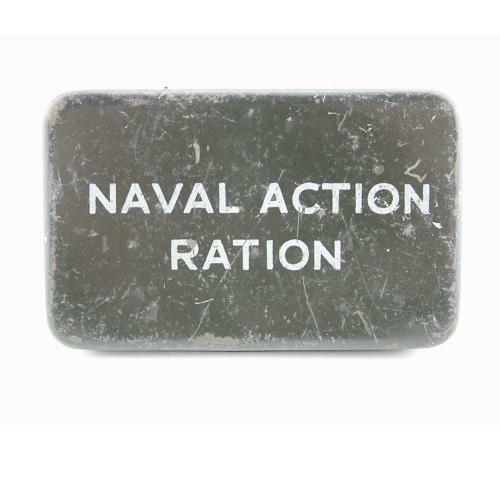 Marked to lid 'NAVAL ACTION RATION'. Approximately 8 x 5 x 1.8cm. Empty. Shows wear and use but in good overall condition. These were issued to the Naval and Fleet Air Arm crews. Stock code S18925a.